A national currency is a legal tender issued by a country’s central bank or monetary authority. It is typically the predominant medium of exchange for purchasing goods and services. In the United States, the dollar is the primary form of currency, backed by the full faith and credit of the government and the Federal Reserve. Large currency bases like the dollar and even the British pound (GBP) can also play an instrumental role in other regions of the world. For example, commodity prices are quoted in US dollars (USD) despite trading in countries outside of the United States. What’s more, some countries might peg their national currency to the US dollar to keep inflation aligned with expectations and maintain a stable monetary policy regime. A national currency such as the US dollar, the Euro and the Japanese Yen (JPY) is recognized as the world’s most widely accepted currencies. They have a global status as a reliable reserve currency with minimal risk of collapsing. As a result, most foreign transactions are conducted in one of the three currencies. Some countries have also adopted other nation’s currency as their own. In parts of Latin America, regions like Ecuador and El Salvador recognize and accept the US dollar for the exchange of goods and services. On the other hand, some countries like the United Arab Emirates simply peg or fix their currency rates to the US Dollar. That way any geopolitical or economic event won’t destabilize the national currency overnight. Currency is not only good for buying groceries or paying a friend back for dinner. It can also be traded and exchanged as a financial instrument similar to stocks, bonds and any other asset classes. In fact, the currency market, or forex (FX), is the largest marketplace in the world that continues to expand each year. Currency trading takes place 24 hours per day, 5 days a week, but more often than not, national currencies will only actively trade during its countries regular market hours. For example, the US dollar may record the large volume or wild fluctuations between 9:30 AM and 4:30 PM when the market opens and closes. 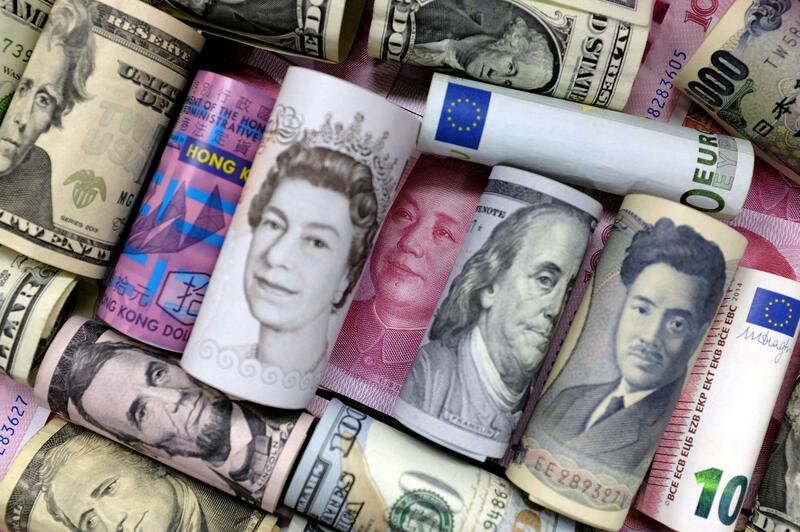 Furthermore, currency trading is often performed in pairs, meaning you trade one currency in relation to another. That said, greater adoption and creation of exchange-traded funds (ETF) has made it possible to trade individual currencies. For example, Guggenheim offers a line of exchange traded products that offer exposure to a national currency like the Australian Dollar or British Pound.